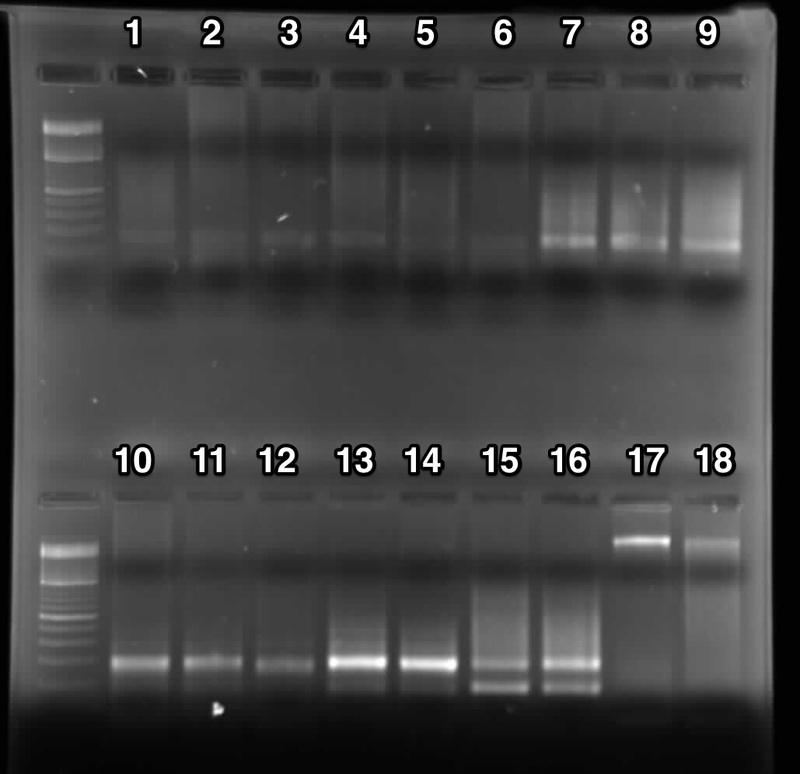 This entry was posted in 2bRAD Library Tests for Sequencing at Genewiz, Olympia oyster reciprocal transplant and tagged barcodes, gel, ILL-BC1, ILL-BC10, ILL-BC2, ILL-BC3, ILL-BC4, ILL-BC5, ILL-BC6, ILL-BC7, ILL-BC8, ILL-BC9, ILL-HT1, olympia oyster, Ostrea lurida, PCR, PTC-200, Q5 High-Fidelity DNA Polymerase, rad, RAD-seq on 13 November, 2015 by kubu4. This entry was posted in 2bRAD Library Tests for Sequencing at Genewiz, Olympia oyster reciprocal transplant and tagged gel, ILL-BC1, ILL-HT1, ILL-LIB1, ILL-LIB2, O'geneRuler DNA Ladder Mix, olympia oyster, Ostrea lurida, PCR, PTC-200, rad, RAD-seq on 12 November, 2015 by kubu4. 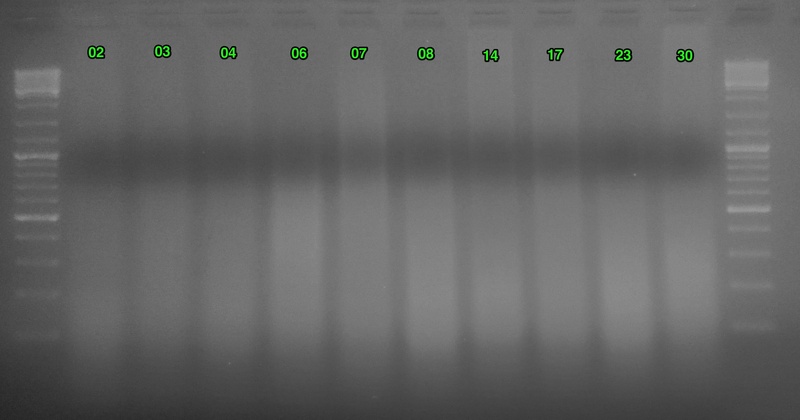 This entry was posted in 2bRAD Library Tests for Sequencing at Genewiz, Olympia oyster reciprocal transplant and tagged gel, ILL-BC1, ILL-BC10, ILL-BC2, ILL-BC3, ILL-BC4, ILL-BC5, ILL-BC6, ILL-BC7, ILL-BC8, ILL-BC9, ILL-HT1, ILL-LIB1, ILL-LIB2, olympia oyster, Ostrea lurida, PCR, PTC-200, Q5 High-Fidelity DNA Polymerase, RAD-seq on 13 October, 2015 by kubu4. This entry was posted in 2bRAD Library Tests for Sequencing at Genewiz, Olympia oyster reciprocal transplant and tagged gel, ILL-BC1, ILL-HT1, ILL-LIB1, ILL-LIB2, O'geneRuler DNA Ladder Mix, olympia oyster, Ostrea lurida, PCR, PTC-200, rad, RAD-seq on 12 October, 2015 by kubu4. 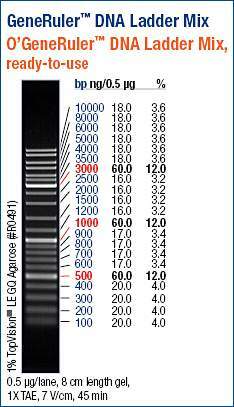 This entry was posted in 2bRAD Library Tests for Sequencing at Genewiz, Olympia oyster reciprocal transplant and tagged gel, ILL-BC1, ILL-HT1, ILL-LIB1, ILL-LIB2, O'geneRuler DNA Ladder Mix, olympia oyster, Ostrea lurida, PCR, PTC-200, Q5 High-Fidelity DNA Polymerase, RAD-seq on 2 October, 2015 by kubu4. 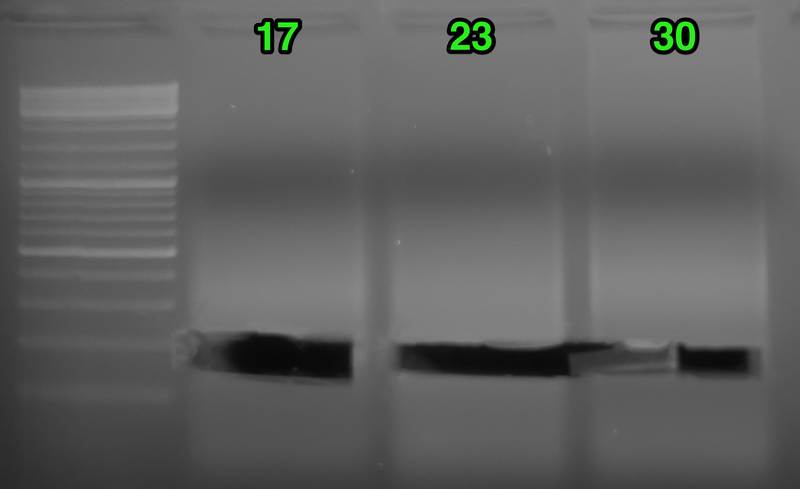 This entry was posted in 2bRAD Library Tests for Sequencing at Genewiz, Olympia oyster reciprocal transplant, Reagent Prep and tagged gel, ILL-BC1, ILL-HT1, ILL-HT2, ILL-LIB1, ILL-LIB2, O'geneRuler DNA Ladder Mix, olympia oyster, Ostrea lurida, PCR, PTC-200, Q5 High-Fidelity DNA Polymerase, RAD-seq on 1 October, 2015 by kubu4. 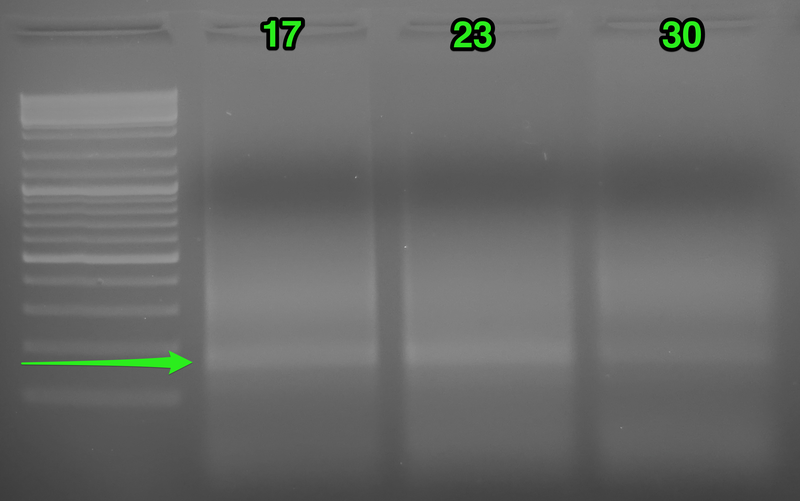 This entry was posted in 2bRAD Library Tests for Sequencing at Genewiz, Olympia oyster reciprocal transplant, Reagent Prep and tagged 3ILL-NR, 5ILL-NR, anti-ILL, ILL-BC1, ILL-HT1, ILL-HT2, ILL-LIB1, ILL-LIB2, ligation, olympia oyster, Ostrea lurida, PTC-200, RAD-seq, T4 DNA Ligase on 1 October, 2015 by kubu4.